Home / alumni / bengals unite / Buffalo / Buffalo State / CM / Daily Update / homecoming / News / Buffalo State Homecoming 2018: "Bengals Unite! 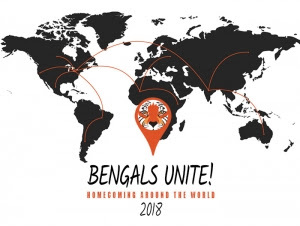 Homecoming Around the World"
Buffalo State Homecoming 2018: "Bengals Unite! Homecoming Around the World"
BUFFALO, N.Y. -- Homecoming arrives on Buffalo State’s campus this week, offering a number of events for students, parents, faculty, staff, and alumni.